Yayyy lip swatches! Haha. This post is way overdue but hey, better late than never. Haha. 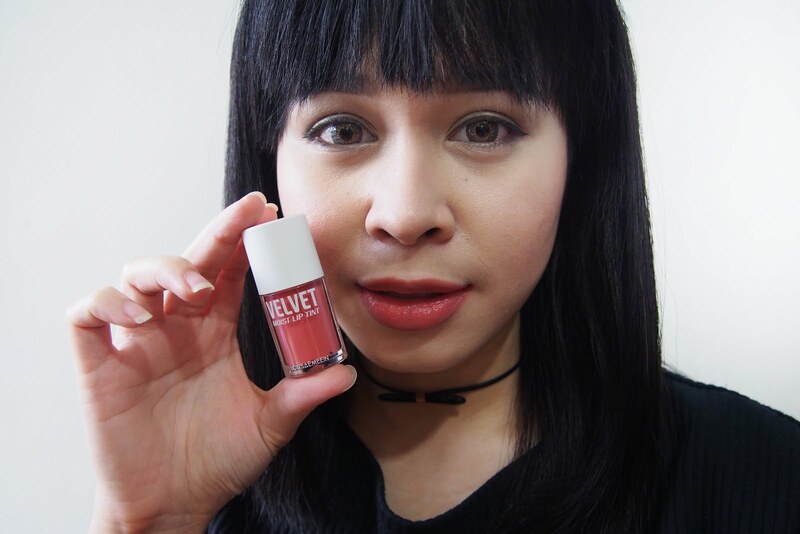 I finally had time to swatch the lip tints I bought from my Althea (see post). I paid P240 for each tint. There are two/three other tints from Tony Moly and Skinfood from the Althea haul, I will be sharing it in a separate post. 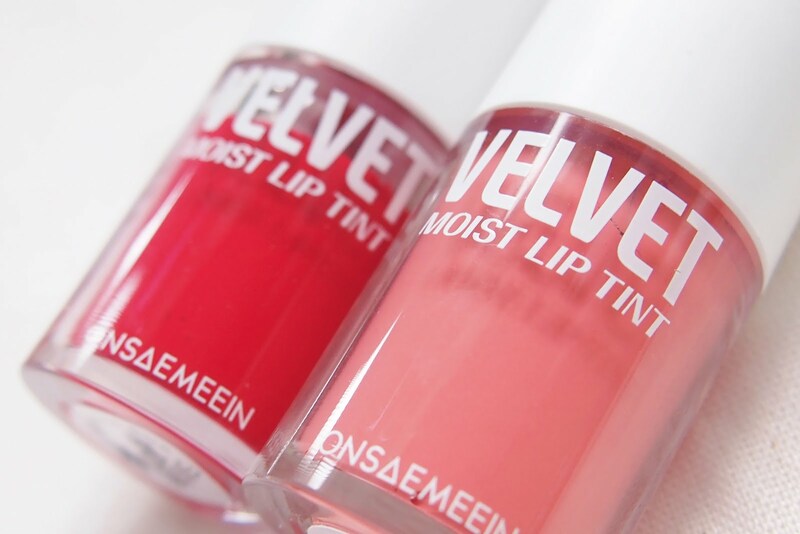 Anyway, let's cut to the chase and jump to the swatches of Onsaemeein Velvet Moist Lip Tints. If you've been reading my previous blog post on makeup, you'll know how I am obsessed with peach and coral shades of lippies. This shade, Acoustic Coral, in particular looks like my natural lip color. 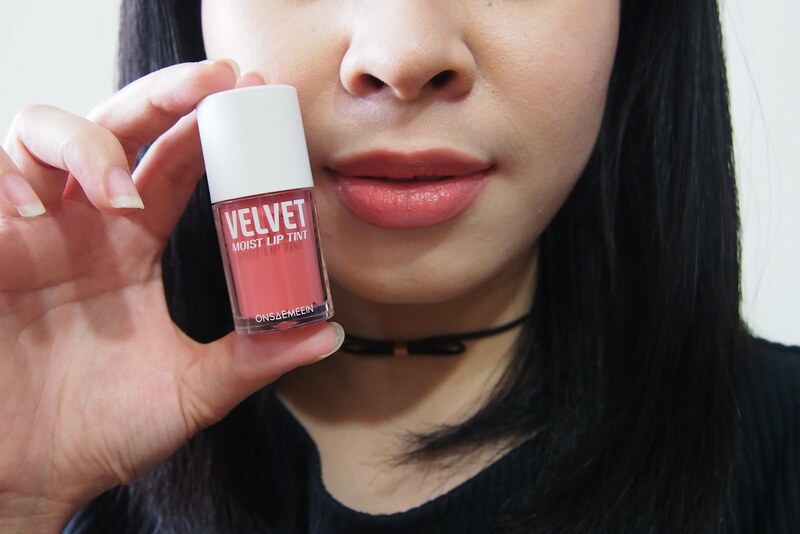 It's a shade I would wear every day. Wow! This shade, berry red is a little striking for me. I'm not the girl who's into red lips but I think this one is beautiful. It may not be something I'm comfortable wearing every day but I'd use this for the gradient lip, it's perfect for that. 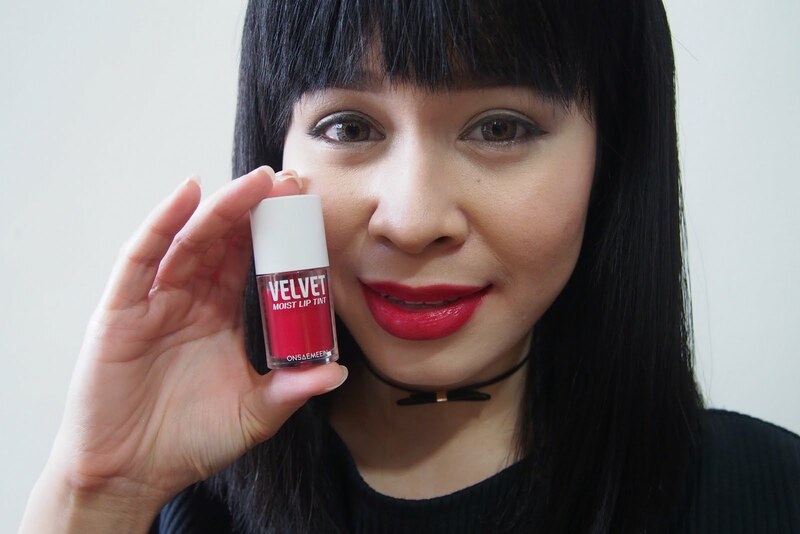 My thoughts on these lip tints. The formula of these lippies is new to me, they were more like a liquid lipstick, though they leave a tougher stain compared to a normal liquid lipstick. Another thing that's different about these lippies is that they were creamy when applied, as supposed to the usual lip tints which are watery. 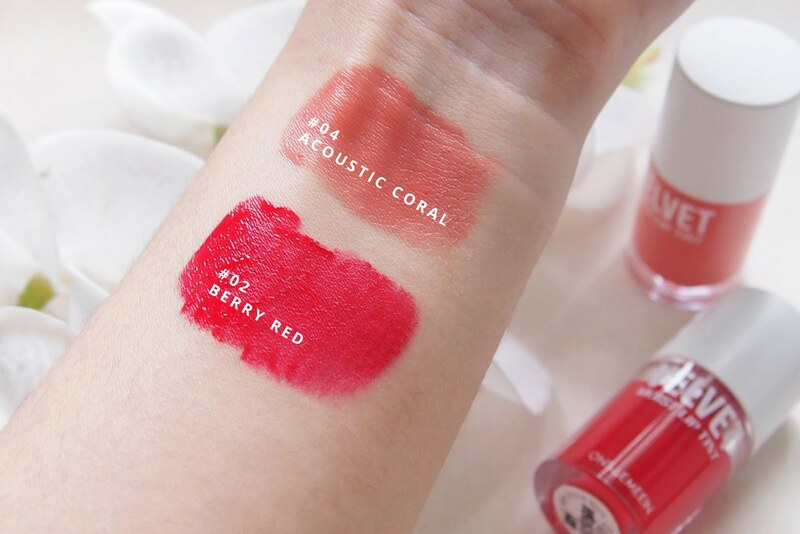 Though when I did a swatch of the coral one on my arm, it was a little watery compared to the red one which had a thicker consistency. 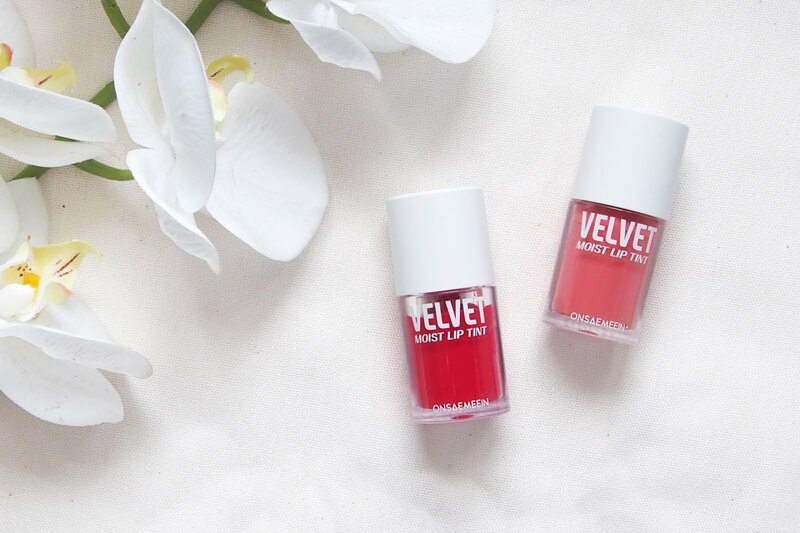 Overall, I liked these lip tints, except that they take a bit of time to dry and I have to be honest that these are not as long lasting. They do leave a stain but compared to the Tony Moly lip tints (will blog on a separate post) that I bought together with these lip tints, these ones tend to get wiped a bit after eating. Nevertheless, I still like the shades of these, and as I've said, they feel absolutely amazing on the lips. 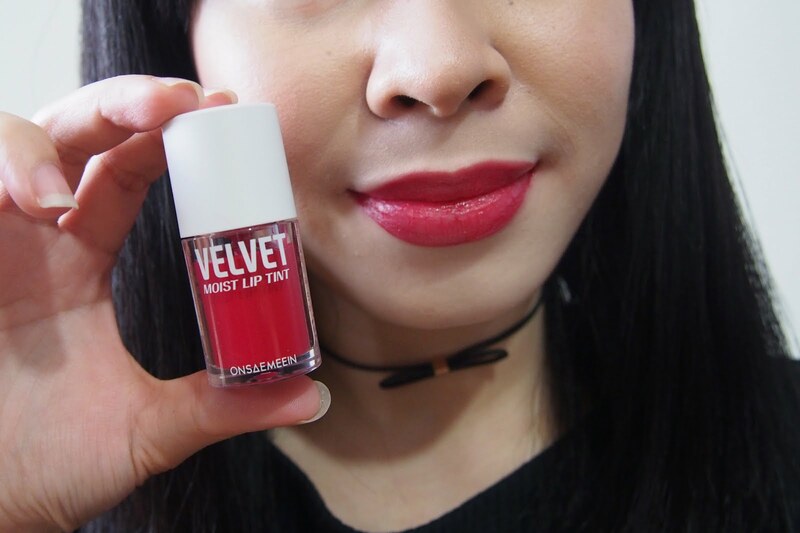 That's it for this Onsameein Velvet Moist Lip Tint review. What shade did you like the most? Acoustic Coral or Berry Red? Have you guys tried it? Let me know in the comment section below. Thanks for being here and see you on the next post.